Jan is the Founding/Executive Director of SpiritWorks Foundation Center for Recovery of the Soul, a community recovery organization located in Williamsburg, Jan is a person in long term recovery from addiction meaning she has not used drugs or alcohol or drugs since 1 January 1987. Jan graduated from the College of William and Mary with a BA in Psychology. Jan is certified as a Recovery Support Specialist and is one of four in the country certified as a Master Recovery Life Coach. She is also an Addictions Educator and sought after speaker on topics of addiction, brain injury and recovery management. Jan is a member of the International Coaching Federation. 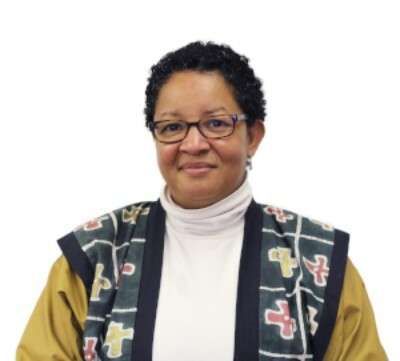 Jan serves on the Board of Recovery Ministries of the Episcopal Church, the SAMHSA BRSS-TACS Steering Committee and co-chairs the Addictions and Recovery Commission for the Diocese of Southern Virginia. She was appointed by the Governor of Virginia and serves on the Governor’s Task Force on Prescription Drug and Heroin Abuse. In 2013 and again in 2015 Jan served as a subject matter expert working on the International Credentialing and Reciprocity Consortium (IC&RC) peer recovery credential. Jan is a postulant for Holy Orders for the Diaconate in the Diocese of Southern Virginia.